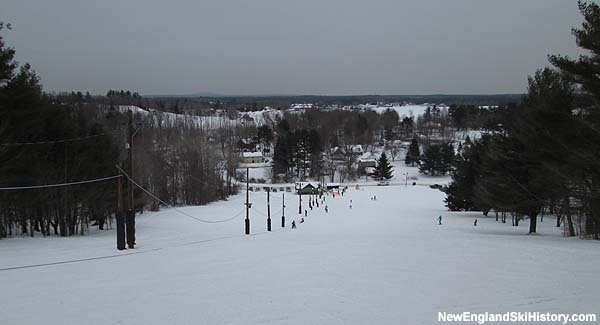 Located near downtown South Berwick, Powderhouse Hill may be one of the oldest lift served ski areas in New England. Powderhouse Hill's skiing history possibly dates back to 1939, when William Hardy reportedly installed a rope tow on Herbie Day's land. Other accounts have this happening as late as the 1950s or 1960s. Powder House Ski Club was established as a non profit company in Maine in December of 1964, roughly around the same time as the development of nearby Mt. Agamenticus. The area may have shut down in the 1970s, again around the same time as Mt. Agamenticus. 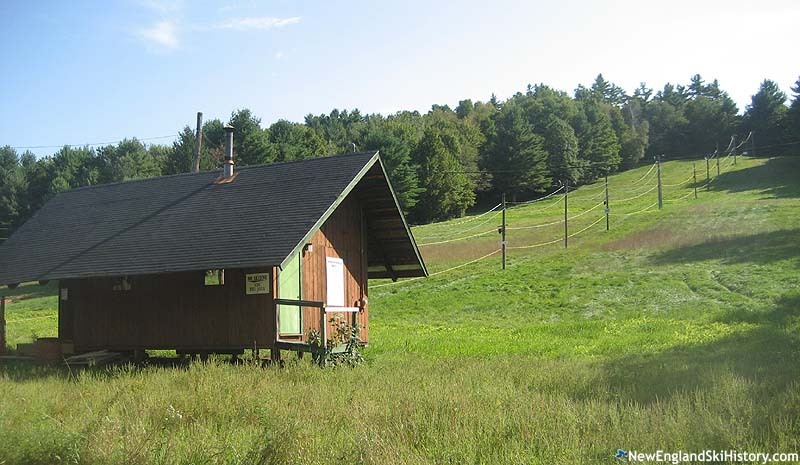 In subsequent decades, the ski club was reinvigorated and the property purchased by the town of South Berwick. The area faced possible closure in 2009 when liability insurance concerns surfaced due to the area being operated by a non-profit organization. To keep the area open, it was absorbed into the town Recreational Department. The rope tow was rebuilt for the 2010-11 season to improve reliability. In 2013-14, the ski area experimented with a small snowmaking system. 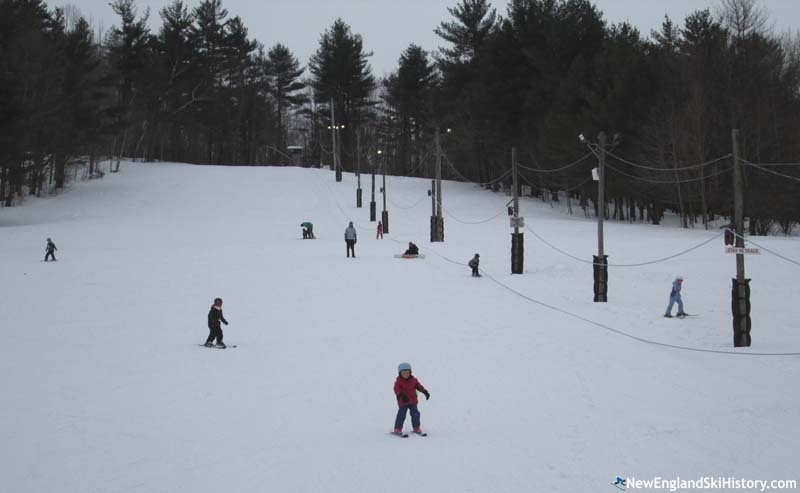 Powderhouse Hill continues to operate its 1938 Ford rope tow for both day and night skiing sessions. "back when i was young myself and siblings use 2 look forward 2 slideing down that hill when we visited my cousins and my uncle herbie and aunt mary what a great time 2 grow up things were much slower then and you made your own fun outdoors know computers ans sitting on your but all day those memories are forever we really had some great times on that hill its a shame they cant slide there now it was so much fun"
"I stopped by Powderhouse Hill for an afternoon of skiing last winter. The main slope has great groomed conditions for carving, while the trees on skiers right added some variety. Well worth the whopping $5 ticket price!"